On Gallery Weekend, “JOH3”–J. 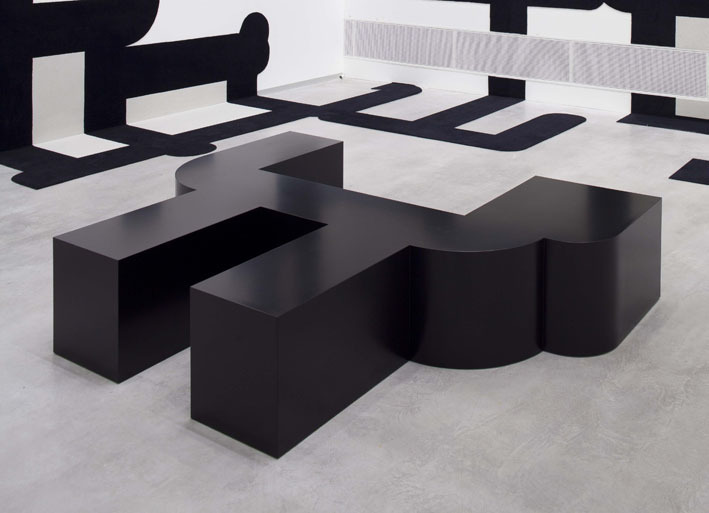 MAYER H.’s newly-opened residential building in Berlin’s Mitte district–will open its gallery space with carpets and furniture from J. MAYER H.’s 2011 exhibition “Rapport” at Berlinische Galerie. The exhibition was organized as a collaboration between the Berlinische Galerie, Euroboden and Vorwerk. A model of the building will also be on view. 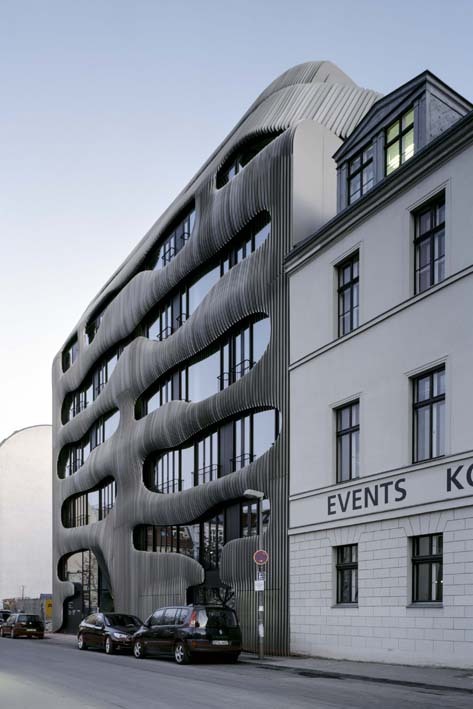 Property development group Euroboden has realized J. MAYER H. architects’ unique building on Johannisstraße, which neighbors both Museum Island and Friedrichstrasse. With its multi-unit structure and green interior courtyard, the building is an extraordinary reinterpretation of the classic Berliner apartment house. The sculptural design of the suspended slat facade draws on the notion of landscape in the city, a quality visible in the graduated courtyard garden and the building’s silhouette and layout. The integrated design concept, which incorporates everything from façade to stairwells, elevators to apartment interiors, promises a unique spatial and living experience with an eye to high design.